So, when the fine folks at GooseWaddle asked me if I wanted to check out one of their blankets, I knew we had the exact reviewer for the job. (Literally, I had about five seconds to admire the adorable packaging our blanket came in before TIH ripped it out of my hands and said "COZY." I haven't really even been allowed to touch the thing since we got it.) So, TIH? Tell us what you think. Me: Sometimes people give things to us so I can tell them what I think of them on my blog. Me: Yep. So, these people want to know what you think of your blanket. TIH: Hold on, I need to get some water. Me: What color is your blanket? Me: What do you like about your new blanket? Me: What are some fun things you can do with the blanket? Me: How do you play with it? Me: How many blankets do you sleep with at night? Me: Do you want mommy to get you more blankets like this? Me: Do you have anything else you want to say about your blanket? TIH: COZY! TOUCHING! Where's my other blanket? 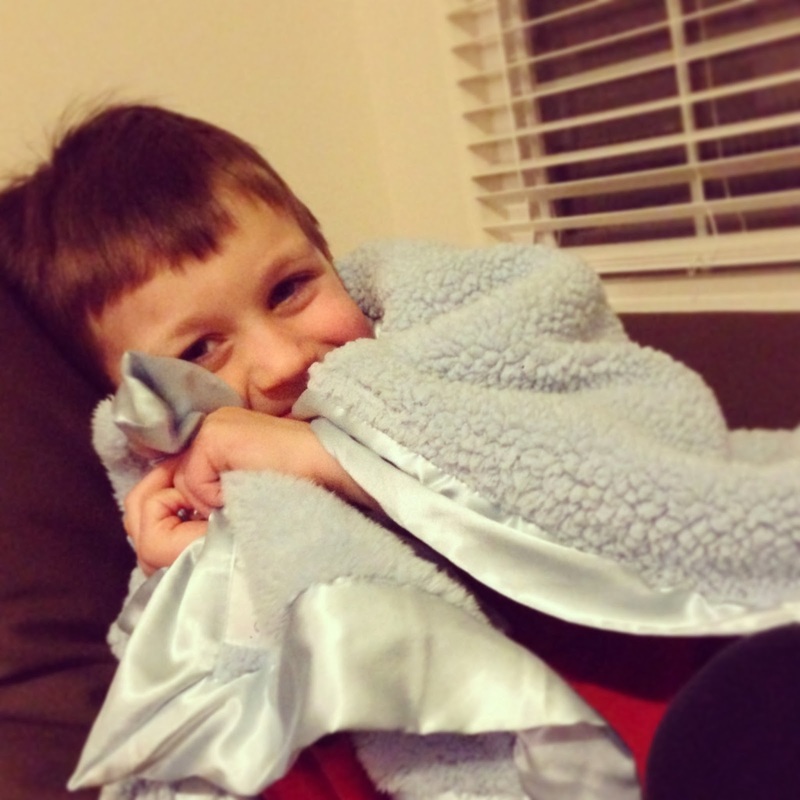 Obviously he's a fan, but these blankets get the NMTOB stamp of approval as well. 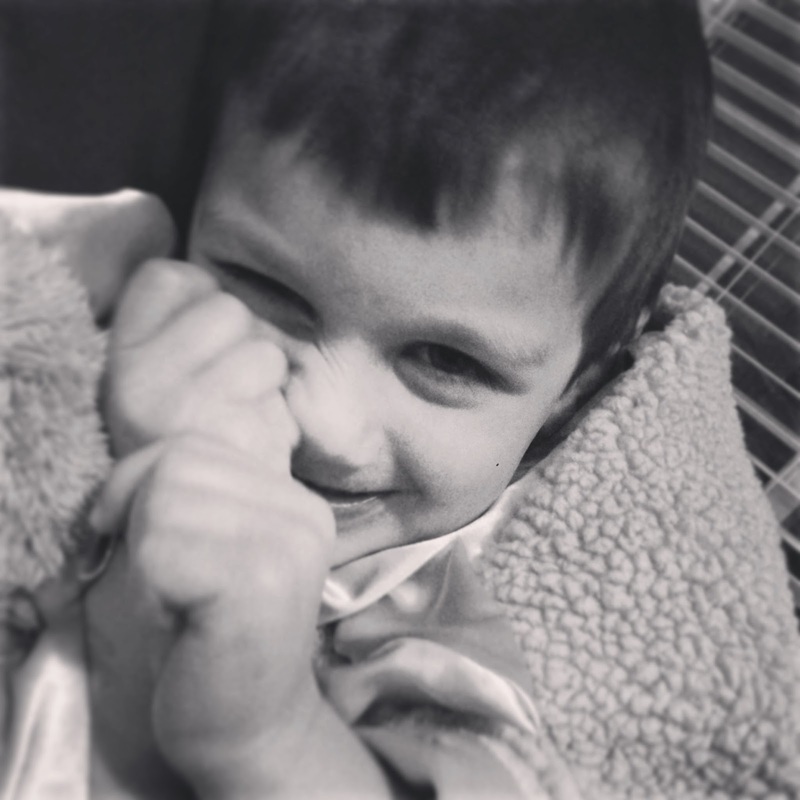 Last week a nasty stomach virus ripped its way through our house (will this winter EVER END?) TIH had spent the course of the illness clinging to his two blankies and so the minute he looked to be on the way to wellness, I washed both. They washed nicely and came out of the dryer just as warm and fuzzy as when they started. Anyone who has been around an infant EVER knows that these things need to be washed on the regular, so I was glad to be able to do a quick quality check there. 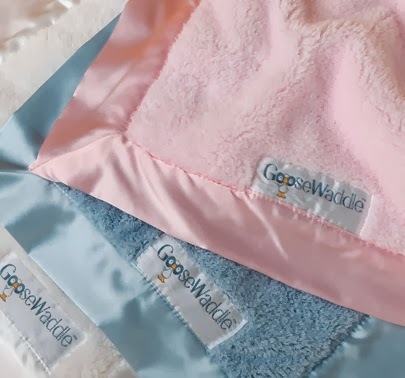 Additionally, as someone who loves companies who "pay it forward" out into our world - for every GooseWaddle blanket purchased, GooseWaddle donates a receiving blanket to a child in need. Talk about warm and fuzzy. So, wouldn't you like a chance to win one of these awesome gift sets? Great, because GooseWaddle wants you to do just that. In the interest of not doing anymore obnoxious giveaways in the comments that never work - I noticed a few of my blogger friends using this little widget called Rafflecopter. So, you can enter the giveaway through that and hopefully it will be smooth sailing! (If you are having trouble, don't hesitate to ask me. I certainly don't want anyone to miss out on a chance to win this awesome prize!) Don't have kids? Doesn't matter. How sweet would this be to give as a shower gift? I'd be excited if it were a gift I received! I'll announce the winner here on Friday when I'll also be sharing our March meal plan! 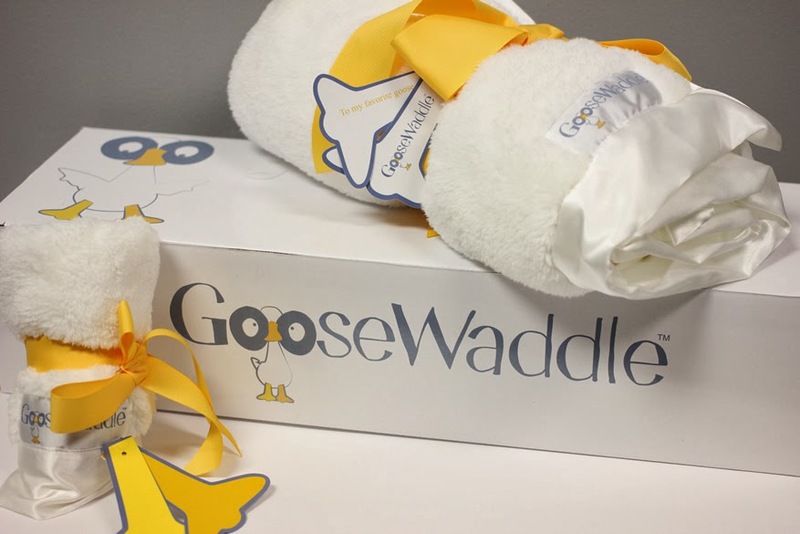 For more information about GooseWaddle and their line of products, you can check them out on Facebook, Twitter, or by visiting their website. Though GooseWaddle provided me with a complimentary gift set, the opinions expressed in this post are solely my own. Obviously I barely have the time to wash my own hair daily, so I'm not going to take the time to write about a product I don't fully endorse. Thanks for the awesome giveaway opportunity! I love your blog and love how it has evolved as TIH has grown. I haven't commented before, but just wanted to say thanks for all your honesty and sharing! I think we'd prefer the blue one.